CMC is involved in a number of international residency projects for composers and new music performers in partnership with other organisations. These residencies offer artists the opportunity to present their existing work, create new work and collaborate with other artists internationally. Current residencies include an annual SoundSCAPE residency and one with the Centre Culturel Irlandais, Paris. The SoundSCAPE residency has been running each year since 2012. 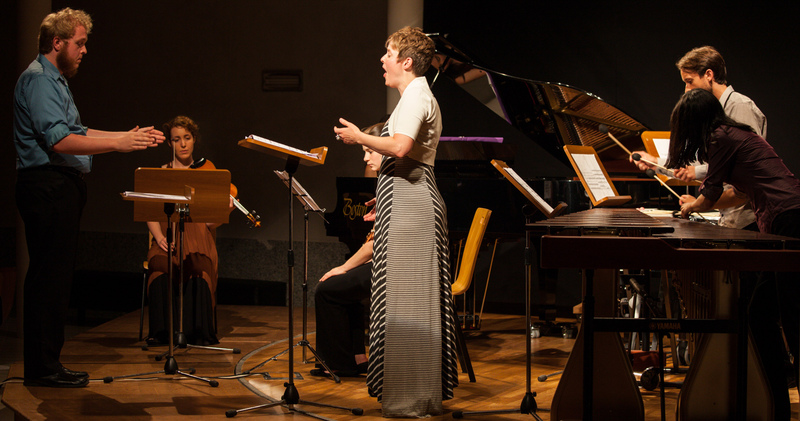 A partnership with the Association of Irish Composers and supported by Culture Ireland, the residency is takes place as part of the soundSCAPE new music festival each July in in Maccagno, Italy. The festival features participating composers and performers from around the world for a programme of concerts, lectures, masterclasses and workshops. Past Residencies have been awarded to composers Siobhan Cleary, Jennifer Walshe, and cellist Kate Ellis. Applications for this residency for 2016 will open in spring of 2016. CMC has partnered with the Centre Culturel Irlandais, Paris for an annual residency as part of the centre’s artist residency programme. This residency is open to all composers who are represented by CMC, and for 2016, Belfast-based composer Greg Caffrey was awarded this residency, which will take place in January 2016. Other residencies include support for the successful awarding of a residency to Daniel Barkley to attend masterclasses with Contempo Quartet and have his work premiered at the State Philharmonic Hall in Sibiu, Romania during the ICon Arts Festival in 2015.